Backlink building is the most vital part of off-page SEO. The modern search engine optimization is about to nothing without creating good backlinks. If your backlinks are not relevant, reliable or trusted to the search engines, you may be penalized. On the other hand, you are creating only backlinks and backlinks, but you are not checking how they are working. It is also harmful for your site. Checking finds out both the good and bad backlinks. So, you can measure, how to improve or polish the broken backlinks to get more benefits. Or you can make a plan how to build more natural backlinks. All these jobs may take much time, even money. You can take help from various free backlink checker tools. The free tools will help you to analyze your link’s status and thus help you how you can manage a relevant backlink building task. Anyway, guys today I will describe 10 best free backlink checker tools. I personally use Google Webmaster Tools daily to check my backlinks because I index my webpages in Google.If you index your site in the above search engines, you can check your backlinks by those tools. Ahrefs is the largest, most popular and used free backlink checker tools in the internet. You can try it. I use it to check my site’s backlinks. It gives me pretty fair report after checking the backlinks. Maybe this tool is going to be closed. But, it is not yet 100% true. So, still have scope to use it. The 95% of efforts of present SEO is dependent on building backlinks. Your backlinks make your site prominent in the SERPs. And, Backlink Watch will do it for free cost. This tool shows you the top backlinks of your site based on the sorting of the strong link building techniques. I use this tool. It is another one which is used by lots of marketers to check their backlinks.Their diagnoses are almost accurate and correct. So, you can try it. You have to sign up to use its free version. I think, no other free backlink checker tools can give you as detailed report as Majestic SEO Tools. OpenLinkProfiler is a new backlink checker tool. It checks your freshest and all other backlinks for completely free. It is free, but great backlink checker tools, because it shows you Dofollow & Nofollow links, broken/deleted links, bad links as well as the good links. 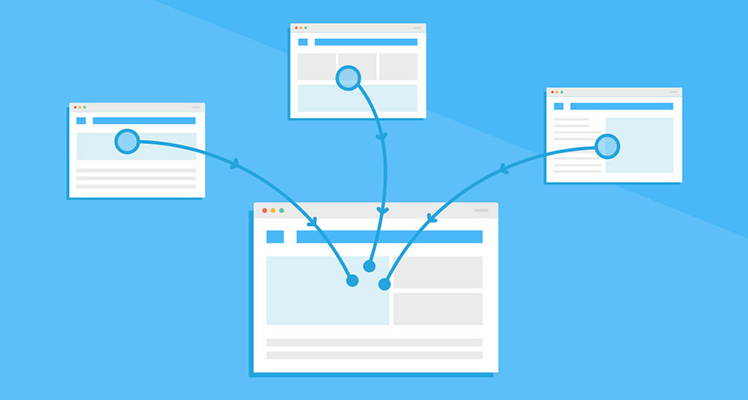 So, you can easily customize your link building paths. This tool is owned by Moz.com. If you want to compare your site’s backlinks to the competitor’s site, it is the best toolkit for you. It is a customizable tool to check backlinks. You can use it as you like, suppose- you want a detailed report, backlinks list on a single page or a whole website, link diagnosis etc. Tons of SEO experts are using Indexicon’s free backlink checker tools. It gives you a report of all yourbacklinks and also indicates you how to fire them for the search engine ranking. The aboves are the best free backlink checker tools. I use first Google Webmaster Tools, and then I use Ahrefs, Small SEO Tools, and Open Site Explorer. These are nicely enough for me. You can try the rests. Besides the above free backlink checker tools, you can taste the below ones. They are also workable.